The Windy City-inspired design features elements from the iconic Chicago flag including four red six-pointed stars and two horizontal blue stripes. 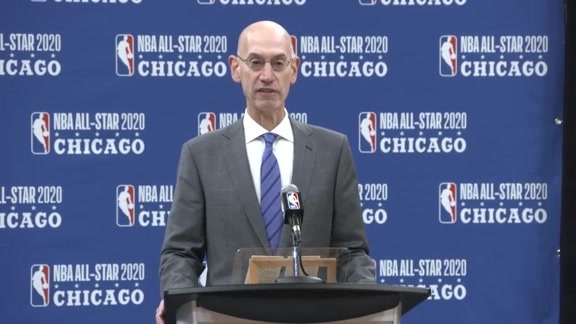 Tonight, the NBA unveiled the logo for NBA All-Star 2020 in Chicago, IL. The Windy City-inspired design features elements from the iconic Chicago flag including four red six-pointed stars and two horizontal blue stripes. The Chicago Bulls’ signature font and team colors – red and black – are also incorporated into the logo scheme. The 69th annual NBA All-Star Game will be played on Sunday, Feb. 16, at the United Center, home of the Bulls.